I had long been intrigued by the British, even though I had never met one of them. How was it that people from such a small country, stuck on the edge of Europe, could have wielded so much power and influence in the world during the previous two hundred years? As an enthusiast for studying history I knew something of the British Empire and especially of their Indian Raj, which they themselves considered the Jewel in the Crown of all their overseas dominions. There was one other rather unusual connection between Britain and myself and that was the name given to me at birth. My mother was called Walayat Begum, and in her memory my grandmother suggested that I should be called Walayat. 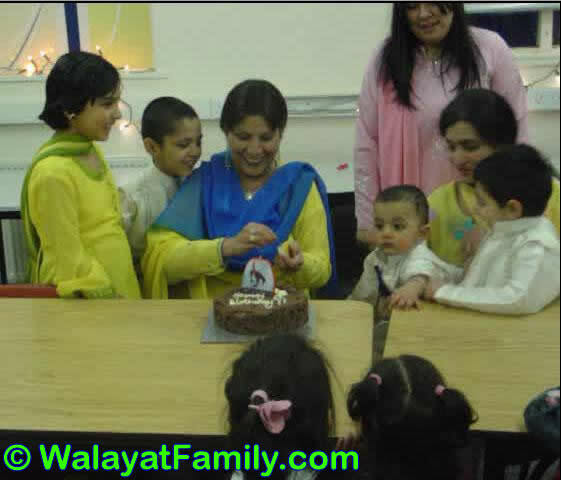 They probably were also aware that Walayat means England in Urdu, so I was Mohammed “England” and maybe therefore predestined to live most of my life in England. Four months later I said goodbye to Sheffield and was invited to go to Dewsbury by a cousin from my mother’s family, where there was work for me to do in the textile mills. We still lived ten to a house and our only recreation was to go to the Rex Cinema on Sundays, where they showed Asian films, mainly “Bollywood” films from India, but they included some Pakistani films in their programme when they could get hold of them. One of my first jobs in Dewsbury was grinding rags at Mitchell Brothers. These rags would then be re-used to produce “shoddy” cloth – the ideal material for making heavy blankets, overcoats and military uniforms, that made Dewsbury famous as the “Heavy Woollen” district of the textile industry. I only lasted a week but quickly got a similar job at Beaumont’s on Bradford Road, where there were ten machines to cut up the rags and I worked on them and also in the laundry. The longest job I had at this time was at Mogashell’s where I worked for eight months in 1962, serving some of my time acting as a clerk, for which I was well qualified. On returning to Pakistan in 1965 I enjoyed two pieces of extreme good fortune that would change my life forever. One of them enabled me to become a wealthy man for the first time in my life, while the second revealed my wonderful new bride who was to become my lifetime companion. I did not return from England with any saved money. My jobs in Dewsbury and Nottingham had not paid very much and I had only had enough money to live on. Suddenly all that was to change as I took advantage of a once in a lifetime situation as the Mangla Dam neared its completion. 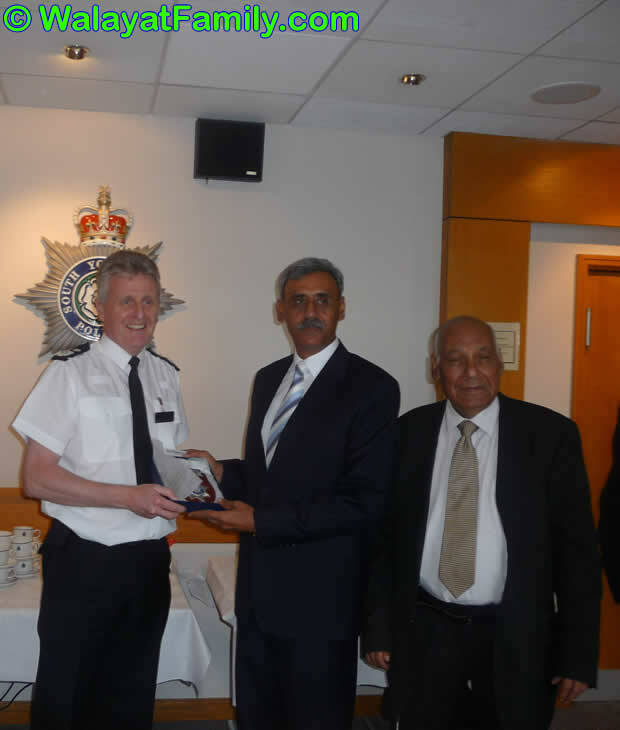 When we got back to Britain in September 1967 we once again went to live in Sheffield, because Mohammed Rafique, who had put me up when I first arrived six years before, offered us a room at his house near the shopping centre in Darnall. His kindness over the years has been boundless and he now had a small house of his own and fitted us in with his own family, which included one of his brothers-in-law. Rukhsana did not seem to mind the contrast in our circumstances between the affluence of our life at home and the fact that I was once again unemployed in Sheffield. England was all new and exciting to her and she was young and adaptable, even if Darnall in the Sixties was full of pollution from Victorian factories, surrounded by rows of slum housing. Many of these terraced houses were cleared under a slum clearance programme during the Seventies, using compulsory purchase orders where necessary, and some new modern housing and green parkland areas were developed. However, Sheffield so far had not been very lucky for me, so, after a few months, I got a job with Rotherham Corporation Transport, once again as a bus conductor, and we moved a few miles east into the centre of Rotherham. Now that I was back in Sheffield, I made a conscious effort to get involved in the city, its intriguing politics and its powerful trade union movement. I was not going to be one of those Pakistanis who lived a quiet life, just getting on with my job, existing from day to day but with my head and mind still firmly focussed on Pakistan and just relying on the traditional ways of doing things. I re-joined the Labour Party as soon as we moved into our house in Darnall. Then when I got my job as a bus conductor, working for the City’s Transport Department, I joined the TGWU, the Transport and General Workers Union, the largest trade union in the U.K.
Whilst I was keen to play my part in Sheffield’s political and trade union life and encourage other Pakistanis to join me in getting involved in English society and institutions, I was always very much aware that I must help my own Asian community living in the city. It was my basic duty to support and represent those who could not easily understand the British system of government or the welfare state, or who had suffered a bad, or unfair, deal from employers, workmates or officials. In May 1986 I was proud to be elected to the Sheffield City Council for my own ward of Darnall. I was not the first Asian councillor; that was Mukesh Savani in 1982, who had come to Britain from Uganda as a boy when Idi Amin expelled the Asian community from that country. However, along with Qurban Hussein, who was elected at the same time, we were the first Pakistanis to become councillors and I was determined to properly represent all the people of Darnall, as well as making sure that the working class Asians in the City had a voice in civic affairs. Kashaf and Rafieda decided to register their marriage after some 14 years (Islamic marriage) at the Rotherham Registery Office. Many family and friends were in attendance. 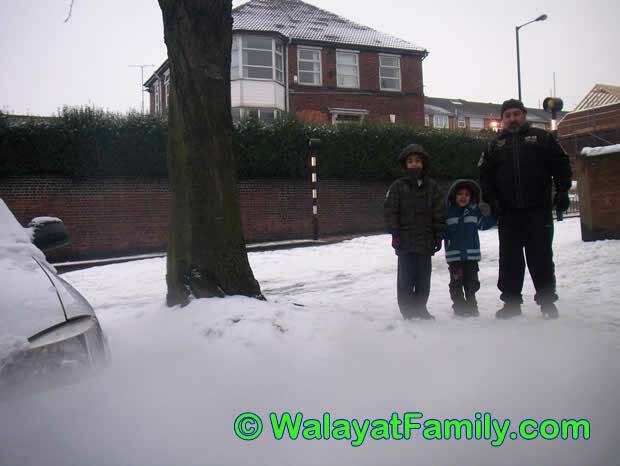 Much of the UK experienced its heaviest snowfall in decades. Whilst getting about was tough it did make a nice change. Sheffield snowed in for several weeks. Happy Birthday Anika - Your 1 Today! Two years in the making and the big day has arrived for Choudhry Mohammed Walayat's New book to be launched in the Town Hall Sheffield, with more than 500 invited guests in attendance. 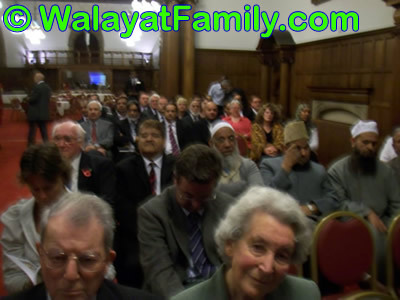 I went to my Grandads book launch with all my family in November 2008. 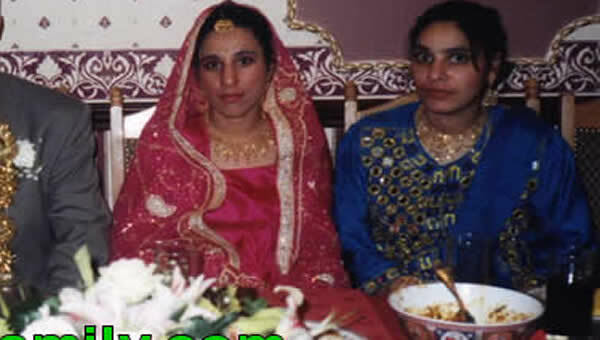 Indleeb, the Walayat families eldest daughter marries Mahboob Ditta in Edinburgh on a cold winters day in November 1998. It's a small close nit wedding as family members have made their way from Sheffield to attend the occasion some 300 miles north. we went to the hall to the hall to begin the party , then wen blew up the baloons first. Next we did the decarations , after that we brought the food we also invited a few freinds and afew members of the family finaly we brought he party games . After a while everyone came.